The Dammuso il Nespolo (with swimming pool) is immersed in the peace of the countryside. 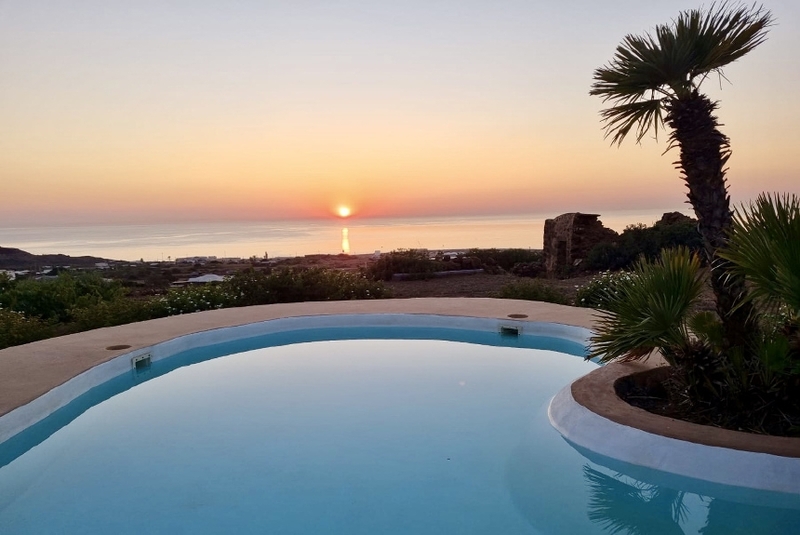 Located at 1 km from the sea and 2 km from Pantelleria center. Is composed of a kitchen, two large double bedrooms, two bathrooms with shower and two large terraces. It also has a small natural stone swimming pool and a large garden with typical local vegetation. During the month of August, the dammuso il Nespolo, can only be booked for 7 nights. • Utility bills for electricity, water, and gas.